Thank you for your presence in my life; your grace, mercy, and everlasting love. I appreciate all of the ways that you have made for me. My written expression may never satisfy the way I feel when I think about how grateful I am for your son, Jesus. The name alone is powerful and a complete game-changer. Jesus died on the cross for a society/world that would eventually be filled with sinful, hurtful, and misguided people. Right now I want to share some of my personal experiences with sin, and mention the mercy and grace that you have shown. I ask that you will help my words, thoughts, and expression to help someone else consider making changes in their lives to get to know you better for themselves. Putting action into building a relationship with you. The enemy had me right where he wanted me. Last year – I totaled my car. I remember waking up immediately as the car made impact with the median that stopped me from heading into incoming traffic. All of the car’s airbags had ejected, and waking up to the effects of a car crash was a life shaking experience. The front of the car was totally obliterated. The tow truck driver that came to remove my car from the road said that I was lucky. He said if I had cleared the median, there’s a strong chance that I would have died. My car was 5 inches from driving on the other side of the road. However, through it all God sent angels to keep me. The angels that constantly surround my family and I to fight against the clutches of Satan. The prayers of our grandmother, and all the women in our family have saved me from acting on the enemy’s suggestions. For a period of time before and after this situation the enemy had my mind in a vice. In order to start to shake the strongholds and the vices in my life I had to fully commit to Christ. I am sure that the devil was confident that the car crash I described would finally be the car crash or experience where he could claim eternal victory over my soul. I often was dishonest with myself and others, by taking risks that were outside of the will of God, which oftentimes led me coming to Christ; in my weakest and lowest moments. I was shameful, and the enemy was feeling victorious for way too long. Meanwhile, many of my decisions were distracting and chastening me from my spiritual goals in seeking the Lord Jesus Christ, doing his will, and bringing more believers, and doers of the word to him. After the accident: I declared audibly that I was committed to pursuing success in my profession as a counselor and basketball coach. I was committed to working as hard as I could to self-improve at my job, and I said out of my mouth that I wanted a stronger relationship with God. I have always had a knack for picking up on “coincidences”. However, God speaks to me through “coincidences”. So it did not take long at all before another lesson came along, in which God began to speak to me very clearly about areas that I needed to work on by leaning on him in order to work through. Listening is an important skill to have when building relationships. However, first and foremost, monitoring what comes out of my mouth, which is a tall task, became a priority for me. (Those who know me, know to say a prayer for me as they read this.) I started to become conscious of what I was saying, who I was saying it to, and discerning if it needed to be said or not. Was it God’s timing or mine? Although I consider myself to be an “in-a-relationship” kind-of-guy; I shuttered my feelings about love or committing to one woman. I began to think and communicate to family and friends, that I was probably never going to get married. I told myself I would just stick to my professional goals but boy was I wrong. God revealed another area he needed to work in my life, as I was dwelling on the fearful thoughts that God would not give me the patience, sincerity, maturity, or selflessness needed to engage in a relationship with life’s most precious creature, a woman. The near death experience, formed a relationship that was not simply physical or for pleasure. His love and kindness, along with a few life changing experiences really helped me to make building my relationship with Him a priority. Our relationship was being reincarnated and it helped me to block out all of the doubt and negativity the enemy attempted to stir up in my mind. Despite the disobedience and skullduggery that I committed in the past, all it took was repentance and exercising action steps toward building that relationship with Christ that I longed for – God began to answer my prayers one at a time. 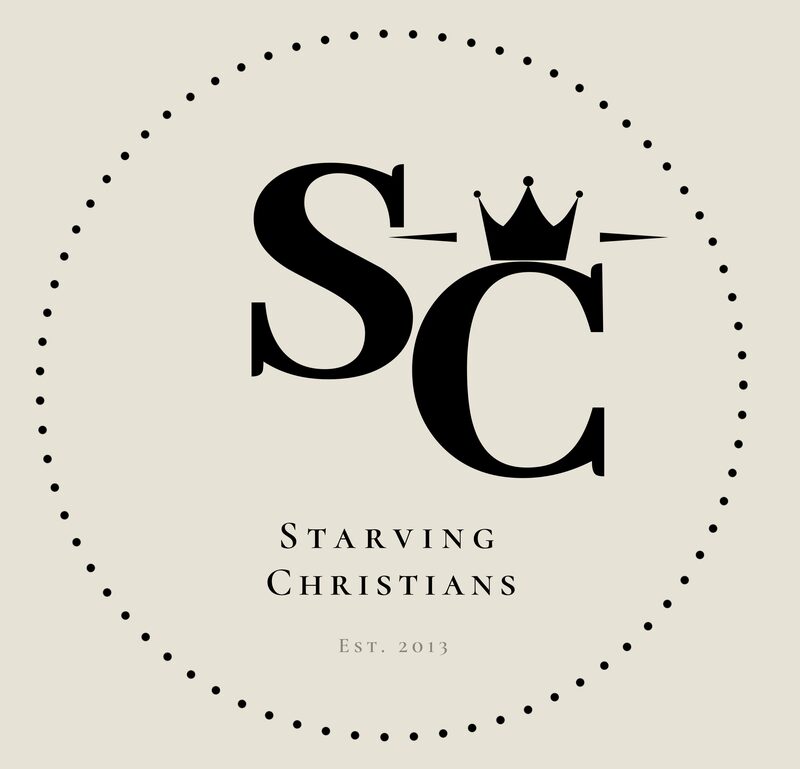 Through my process I discovered that I am a Starving Christian. So to the tow truck man almost a year later my reply is “I am not lucky, I am blessed” – shout out to Jonathan Reynolds. We continuously attain Victory, through Christ Jesus name because we know without him, nothing we do is possible. I am also engaged to the beautiful founder of the Starving Christians blog. I am proud to say that we will be joining our union on November 10, 2018. Read Matthew’s gospel, chapter 6, if you get a chance. These are the words of Jesus Christ, he says seek FIRST the kingdom of God and his righteousness, and ALL other things will be given to you. Remember, GOD is our heavenly father. We must seek him first! The two songs below have fed my spirit with encouragement this month. I pray that this blog and the songs below will encourage all of the readers. Be Blessed y’all, and keep God first! God’s mercy and grace is amazing!!! ThK you for your transparency and I bless God for your journey!! I am so excited what God is doing now and what He will do in the days to come!!! Nothing like the Savior!! I love your reflection and insight and how it has clarified God’s vision for you of His purpose in your life AND helped you realize the beauty in committing to a woman of God. This is an excellent word that you have shared. Keep writing. To my second of three extraordinary sons, Marcus, Excellent job! I am so proud of you. This is the first entry to writing your first book. Always remember, every weakness you have is an opportunity for God to show His strength in your life. Keep your eyes focused on Jesus and you will have many victorious accomplishments. “Train up a child in the way he should go: and when he is old, he will not depart from it”. Proverbs 22:6 Thank you God for your faithfulness. Your reflection and determination is admirable. Your ability to form and hold relationships is a skill and I hope it transfers to those you encounter. I’m so happy you found “the right girl,” she is very lucky to have such a passionate and committed man. Love ya, Marcus!! I really like your blog. You started it off perfectly by beginning with a prayer. Thank you for your transparency. We need men of God to step up and stand out. May God bless you and keep you is my prayer for you. Enjoy the journey Marcus.